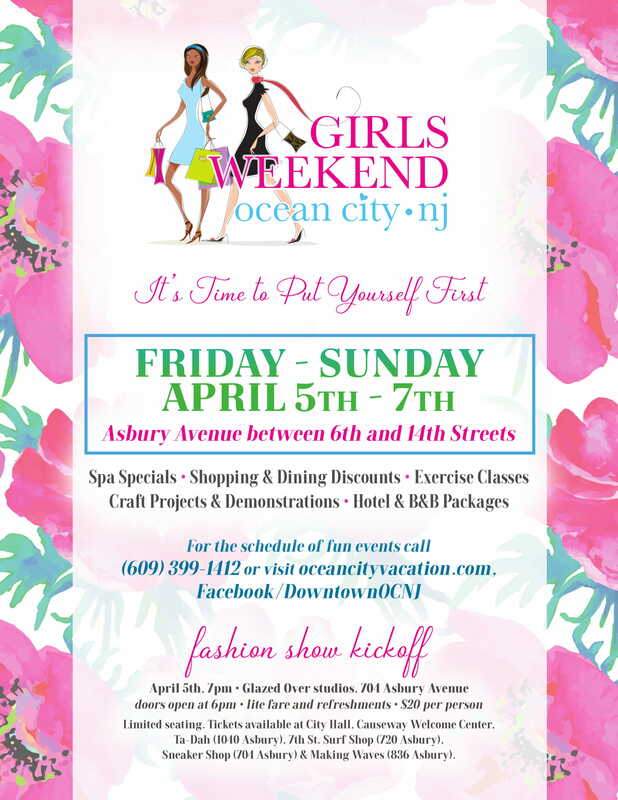 Downtown Ocean City’s annual Girls’ Weekend is coming up fast! 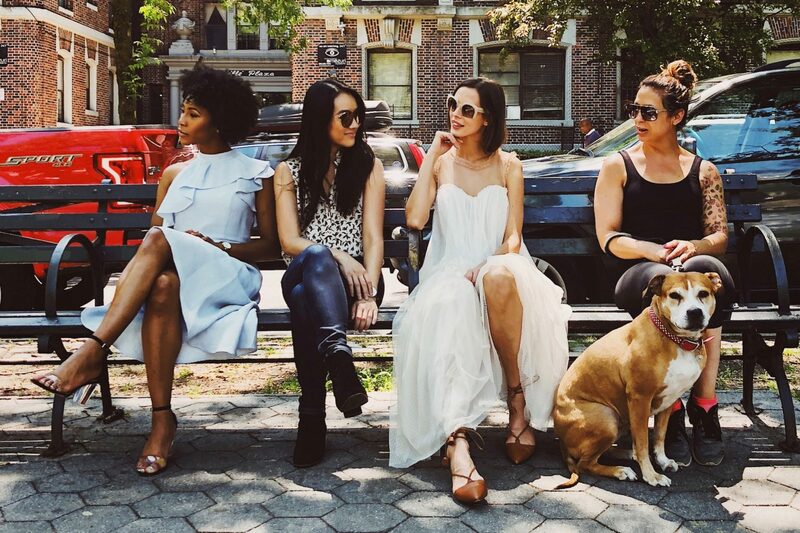 This is the time to treat yourself, and we’re all in! Play hooky with us on Friday and enjoy extended shopping hours (10AM to 10PM), free coffee and pastries, and an afternoon painting class! Then join us and more than 15 of our vendors at the Fashion Show at Glazed Over Studios (info below). Featured vendors include: Beachlove, Birds Eye View, Compendium, Crescent Moon, Cruise Control Gear, East Coast Girls, Ireland, Kim’s Place, Klothes Kove, Leiki, Ocean City Apparel, Patches and Lace, Pumpkinbuds, Seafindings, Seeshell, She’z the Boss, Sportz Teamz, and Surf Cottage. On Saturday and Sunday, we’ll have food and beverage tastings, plus meetups with some of our creative small business owners. And all weekend long, you’ll get a free gift with any purchase of $50 or more! + FREE gift with any purchase of $50 or more! This entry was posted in Ocean City Events and tagged discounts, freebies, girls' weekend.